Traveling to Brookhaven on business, Kathleen decides to take a detour to Caroline Porters hometown of Maple Glen. Although it is quite different from Carolines 1880 description, Kathleen is moved by the remnants of the past that still remain. Still determined to get to the bottom of the questions she has regarding the foreclosure on Mrs. Evobas mansion, Kathleen travels on to Brookhaven. Follow as Kathleen marvels at what God wants to teach her through Carolines compassion and through the handsome man of faith who is waiting for her in Brookhaven. 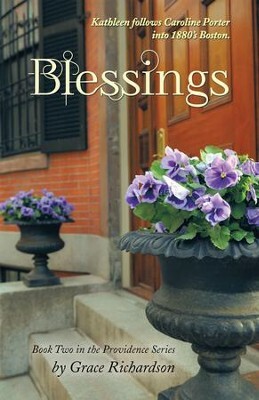 I'm the author/artist and I want to review Blessings: Book Two in the Providence Series - eBook.